Mantis Organics’ Sting Relief Balm is an effective and fast acting topical formula for relieving minor redness, irritation and itching. Your skin couldn’t possibly be in better hands. Cocos Nucifera (Coconut) Oil*, Butyrospermum Parkii (Shea) Butter*, Cera Alba (Beeswax)*, Zea Mays (Corn starch)*, Sodium Bicarbonate (Baking Soda), Eucalyptus Globulus (Eucalyptus) Oil*, Melaleuca Alternifolia (Tea Tree) Oil*, Rosmarinus Officinalis (Rosemary) Leaf Extract*, Zinziber Officinale (Ginger) Root Oil*. 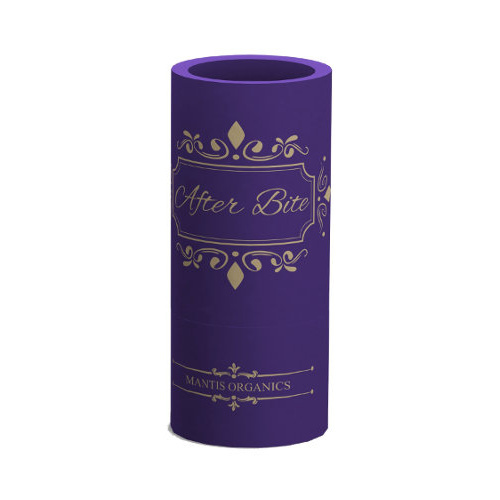 Infused with organically pure ingredients like shea butter, beeswax and corn starch. it is an all-natural concoction that alleviates pain and provides quick relief. Contains eucalyptus oil and ginger oil extracts that have whole host of medicinal properties. The balm acts as an analgesic, antiseptic, antibacterial, stimulating agent, leading to fast healing of inflammations. Contains rosemary leaf oil that is rich in naturally powerful antioxidants to moisturize the affected area. A non-greasy formula ensures that there is no unpleasant residue after use. Great for the whole family and comes in a bite-sized package, making it the perfect travel companion no matter where you go!